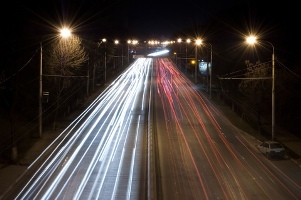 Motor vehicle crashes involving pedestrians can be among the most serious car accidents. They are very traumatic for those involved. According to a recent news article from the Boston Globe, a school bus hit a man and his dog around 7:30 in the morning at the intersection of Columbus Avenue and Dartmouth Street in Boston. While no students are reported to have been injured in the bus crash, the dog was killed in the accident, and the man was taken to Tuffs Medical Center. Police have not released his name or his condition following the accident. The driver stayed on the scene following the accident and called police and his supervisors, who responded to the Boston car accident. The bus was said to be part of a program to transport minority students from racially imbalanced schools in Boston to schools in surrounding neighborhoods. Many people from Boston enjoy spending a day or two in New York City. One of the cheapest ways to get there is by bus. By now, everyone knows about the bus that goes from Chinatown Boston to NYC for around 20 dollars. To compete with this, national motor coach operators have begun also offering low price fares between the two cities with busses leaving from South Station in Boston. However, a recent news article from WABE reports one of these double decker busses has crashed, resulting in more than 20 passengers being injured. Authorities state that a bus traveling from Chicago to Atlanta rolled over onto its side while driving at highway speeds. Less than two months earlier, another bus operated by the same company on the same route also crashed, resulting in more than a dozen injuries. Investigators are still looking into the cause of the accident, but it is believed that weather conditions played a role in the incident. Spring and summer are the seasons that many schools, churches, businesses, and other organizations hire a coach bus for private trips. While taking a chartered bus can be convenient for a large group, leaders should be aware of the potential safety hazards when hiring a bus company. There are also ways to minimize the chance of an accident and to ensure the company you hire meets federal and industry safety standards. 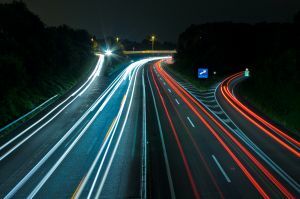 A recent investigation by USA Today found that the National Highway Traffic Safety Administration (NHTSA), isn’t properly tracking all the accidents and deaths caused by buses. These misinformation has given the public a false impression that buses are safer than is the reality. Many accidents, including one in 2003 that killed eight people, aren’t included in fatality statistics. Our Boston bus accidents attorneys are dedicated to raising safety awareness to prevent accidents on the nation’s highways. We also are working to ensure that motorists and travelers understand the risk of riding a bus when companies and their drivers are in violation of safety standards. Highways are dangerous for all motorists, especially when traveling at high speeds alongside large vehicles, including semi-trucks, buses, and SUVs. In a tragic accident, a bus traveling with a church group blew a tire and veered off the median, crashing into a sport-utility vehicle and a semi-truck. The explosive accident caused the death of eight victims. Commercial bus lines have been under scrutiny since a number of high-proflle accidents nationwide. 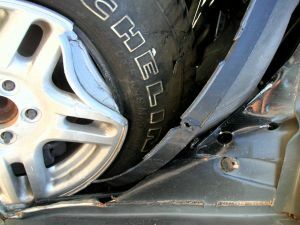 Inexperienced drivers and failed maintenance have routinely been the cause of a number of fatal accidents throughout the Northeast and nationwide. Our Massachusetts bus accident attorneys are dedicated to protecting victims and raising awareness to prevent future accidents and injuries. According to reports, the bus was carrying members of a Baptist Church located approximately 140 miles east of the collision site. The members were traveling to a festival in Gatlinburg, Tennessee to attend an event that featured gospel music, singing, and speakers. The church had a close-knit community and many members knew everyone on the bus that had attended the event. On February 4, our Boston bus accident attorneys wrote about a Boston bus crash that left a group of 42 students and chaperones trapped on a charter bus after the bus ignored maximum height warnings. At least 32 of those on the bus suffered injuries in the accident, some of which were life threatening. The bus accident was a tragic end to a visit to Harvard University that had been billed as a fun trip for Philadelphia students. Unfortunately, it seems clear that the driver of the charter bus, who was also a school bus driver, was careless in heeding the warnings posted on the road and as a result put every life at risk. These types of accidents aren’t supposed to occur when a bus has been chartered because commercial bus drivers are held to a high standard in order to protect passengers. Yet, despite the strict rules for commercial drivers, this accident illustrates that bus accidents can and do happen and that they aren’t always prevented by safety laws. For those chartering a bus or planning a bus trip, it should, therefore, be a priority to make sure that the bus company employs only safe and qualified drivers and to ensure that the bus company takes safety seriously. Fortunately, the Federal Motor Carrier Safety Administration provides certain resources for bus passengers to help them to make informed choices by becoming educated about carrier safety. A bus safety checklist for those who are planning a bus trip. FMCSA also provides a link to report a safety violation or to report a passenger carrier or bus that is not complaint with the Americans with Disabilities Act. 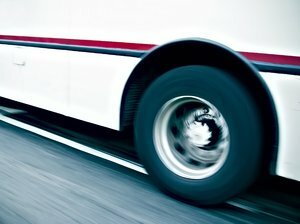 If you have been on a bus trip with an unsafe driver or unsafe equipment or if you have noticed risky behavior on the part of a motor carrier, you should always report the potential safety infractions to FMCSA to ensure it has up-to-date information so FMCSA can launch an investigation into potential problems before someone gets hurt. The safety performance history of the bus company that you are traveling on or that you are thinking about hiring. The safety rating of the bus company. Satisfactory is the top rating awarded by FMCSA. If the bus company that you are considering has a “conditional” safety rating, then you may want to think twice because the bus company has proven to have certain safety violations or lapses in compliance. If the bus company has a final rating of unsatisfactory, they should not be operating and you should report them to FMCSA if they are trying to offer you transportation. By using the resources available to you and by checking on the background and rating of a bus company before you charter a bus or travel on a bus, you can hopefully avoid becoming the victim of a bus crash. Recent accidents make it clear that curbside motorcoach operations are riskier than traditional buses, according to Boston Daily. Results of a recent study by the National Transportation Safety Board (NTSB) concluded that curbside buses are seven times more likely to be involved in a fatal bus accident in Boston and elsewhere than the more conventional terminal bus operations. Our Massachusetts bus accident attorneys understand that in 2010, conventional carriers and curbside buses traveled nearly 2.5 billion miles between Washington, D.C., and Boston. 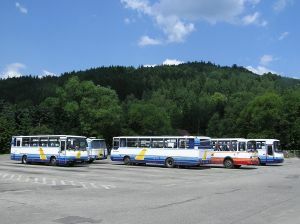 Even with all of these miles traveled, federal authorities have no tracking mechanism or unique categorization for these buses. As of now, there are nearly 4,200 interstate motorcoach carriers that operate in the U.S. Nearly 100 of these carriers are curbside buses. There have already been more than 20 interstate bus accidents in 2011 that have resulted in more than 30 deaths and nearly 500 injuries. These curbside buses are more difficult to track down for safety inspections because they don’t run out of a typical terminal. Even if these buses were easier to inspect, the Federal Motor Carrier Safety Administration would have a tough time doing it, considering they have less than 900 inspectors and nearly 800,000 buses to keep tabs on. If you break this down, every 1.15 inspector is in charge of looking over 1,000 buses. Just as the FMCSA can’t track down these buses for inspections, they can’t keep tabs on ticket sales either. These tickets are oftentimes sold through online brokers who are not under the federal adminsitration’s jurisdiction. 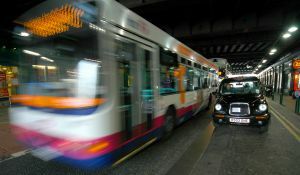 This new report will help authorities to plan a way to better regulate the safety of these buses. “We fully support the report…and endorse anything that the FMCSA and the NTSB do to get the non-compliant bus operators…in compliance or get them off the road permanently,” Dale Moser, President of Coach USA. The study was the final straw of recent busing accidents. Senator Charles E. Schumer said that after he witnessed the busing accident in the Bronx that killed 15, he knew something had to be done. With the release of this report, the NTSB says its working diligently to tackle these problems. There’s no telling how long it could take, but until we can ensure the safety of the buses on our roadways, travelers are urged to look into the companies they ride with. “When travelers board a bus, they should feel safe, whether the trip starts in a terminal or at a Chinatown sidewalk,” said Rep. Nydia M. Velázquez (D-NY). As technology continues to advance, the number of distracted driving car accidents in Boston and elsewhere continue to increase. To help combat the problem, the National Safety Council (NSC) recently released a series of videos to illustrate the dangers that drivers face while driving distracted. The video series, called “Understanding Distracted Driving,” discusses the risks, dangers and consequences of distracted-driving habits. NSC Senior Director of Transportation Initiatives David Teater, uses the video to discuss the answers to 12 common questions that motorists have about this behavior. The video also suggests that companies address cell phone usage while driving on the job. Employers are offered with advice on how to enact and enforce a no cell phone policy in their work place. Our Massachusetts car accident attorneys see too many car accidents on our roadways that are caused by distracted drivers. According to distraction.gov, more than 5,400 people are killed every year because of these types of accidents. Nearly 1,000 of these accidents specifically report the use of a cell phone as the type of distraction that caused the crash. Distracted driving accidents are preventable with a little driver effort. About 20 percent of all traffic accidents that occurred in 2009 were the result of distracted driving. Drivers who use a hand-held device while behind the wheel of a motor vehicle are four times as likely to be involved in an accident that’s serious enough to cause injury. Recent studies conclude that using a cell phone while driving slows a driver’s ability to react as much as a driver who is legally drunk, with a blood alcohol concentration of 0.08. To help curb driver distraction, Teater has spoken to a number of local, state and federal officials to encourage stricter enforcement against distracted drivers. Teater’s 12-year-old son lost his life in a 2004 car accident in which the driver at fault was using a cell phone at the time of the collision. Back in 2009, the NSC made an attempt to sway government officials to enact a complete ban on cell phone use at the wheel. The Council was the first organization to suggest the ban. -Drivers under the age of 18 are prohibited from using a cell phone while driving. 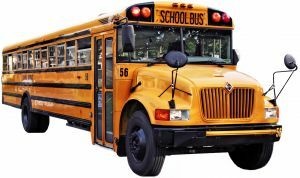 -Drivers of school buses and passenger buses are prohibited from using a cell phone at the wheel. -All drivers are prohibited from texting while driving. 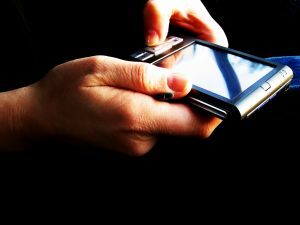 According to handsfreeinfo.com, drivers face a $100 fine if busted text messaging behind the wheel. The second offense gets you a $250 fine and a $500 for a third.